A version of pay-per-click advertising run by Google and displayed alongside their natural search results. A system of pay-per-click advertisments that Google place on your site and which earn you revenue when users click on them. Open source web server software first developed in 1995 which has gone on to become the most popular web server in the world. Normally runs on Unix or Linux platforms but is also available for Windows. Active Server Pages. Microsoft's scripting language/database combo. Playing audio and video immediately as it is downloaded from the Internet, rather than storing it in a file on the receiving computer first. Streaming is accomplished by way of web browser plug-ins, which decompress and play the file in real time. Universally adopted contraction of Weblog - originally conceived as an online journal but now widely used for a much wider range of comment and journalism. A systsme of holding recently accessed data, designed to speed up subsequent access to the same data. When applied to web browsers the browser holds copies of files up to a user-defined date and size and if the user returns to the same site within that time and the files have not changed then the files are read from the local hard drive rather than downloaded again from the remote website, thus speeding up display. A proprietory scripting language and database. The process of writing the website in such a way that it will render effectively in all browsers. Since browser technology is developing rapidly it may not be possible to create pages which look identical in older browsers and newer ones but they should degrade gracefully wherever possible. The more cutting edge the design is the more likely that older browsers will have trouble, and for instance, most developers no longer attempt to guarantee that Internet Explorer 6 will display properly due to the large number of bugs in that browser. Even in modern browsers there will be differences - e.g. form elements in Safari on the Apple Mac will look quite different to the same elements on a PC. Cascading Style Sheets - method of styling and positioning elements within a web page without using inline styling. This powerful technique allows a much greater degree of central control over a website's appearance while separating the styling from the content. Domain Name Service or Server - The system which translates domain names into IP addresses. A piece of code put at the top of an html file which tells the browser what standard the page has been written to conform to. The Doctype also controls whether the browser will operate in Standards Compliant Mode or Quirks Mode. a general description for selling products over the internet. A private network that uses the Internet protocol and the public telecommunication system to securely share part of a business's information or operations with suppliers, vendors, partners, customers, or other businesses. File Transfer Protocol - Used to transfer files from a local computer to the web site's server using an ftp client program. A web browser written by the Mozilla foundation which has around 15-20% of the market. Very standards-compliant and under constant development. 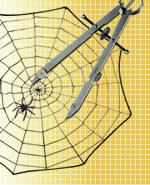 The spider used by Google to retrieve web content. HyperText Markup Language - the basic langauge of web sites which the browsere interprets in order to put the content on the screen. It was a development of an ealier language called SGML. The latest version of HTML, which, particularly in combination with CSS3, provides a number of capabilities which previously could only be achieved by using programming or scripting languages. HyperText Transfer Protocol - the basic protocol which allows the transmission of web pages. A series of codes and information passed by the web server to the browser agent when a page is requested. Amongst these are numeric codes such as 200, 301, and 404, which have various meanings such as in these three cases - that the document is available correctly, that is has moved permanently to a new address to which you will be redirected, that it is not available at all. A worldwide system of computer networks - a network of networks in which users at any one computer can, if they have permission, get information from any other computer (and sometimes talk directly to users at other computers). Internet Explorer - Microsoft's web browser. The most commonly used web browser as it is the default one installed within Windows. IE6 has rather poor standards compliance and is notorious amongst web designers for its poor rendering of CSS and its history of security problems. IE7 has recently been released and it is hoped that many of these problems will have been overcome. Web server software produced by Microsoft. Runs on a Windows platform. A private network contained within an enterprise. The main purpose of an intranet is to share company information and computing resources among employees. Internet Protocol - Lowest level communications protocol upon which the Internet is based. IP enables a packet of information to travel through multiple networks to get to its ultimate destination. Internet Service Provider - A business that delivers access to the Internet, usually for a monthly fee or any business that provides Internet services such as web sites or web site development. A client-side scripting language. Frequently used for controlling image rollovers and layer movements. Joint Photographic Experts Group - A graphics compression standard which allows variable lossy compression of photographic quality images. The compression can be varied depending on the required file size and quality of the image, however once compressed the lost information cannot be retrieved. JPG is the most common file format for photographic images on the web; it is also now a common format for digital cameras where in most cases the initial photograph is stored with zero compression in order to retain maximum image information. Local Area Network - A group of computers and associated devices that share a common communications line. An open source sql database. An interconnected grouping of computers which share a common set of communication paths and which can all connect to each other. Portable Document Format - A file format developed by Adobe who supply a free reader program for displaying these files. Editing them is not possible without the commercial program which Adobe sell. A contraction of Permanent Link - a terms first coined for blogs where in most cases a post first appears on the home page of the blog but gets gradually pushed off the home page by subsequent new posts. This means that a link to it on the home page will becoming outdated. Posts also appear on their own pages and that page has a permanent address and thus is the preferred link address. An open-source server-side scripting and programming language. Usually teamed with MySQL to create database driven dynamic websites. Portable Network Graphics - a graphics file format which has been developed specifically for the web and is intended to replace the older GIF format. Supports transparency and layers and a variable colour range. Post Office Protocol 3 - A client/server protocol in which e-mail is received and held for you by your Internet server. A mode of operation of your web browser where it tries to be as backwards compatible with old methods of coding as possible. While this will mean it will usually manage to display old pages in some manner, it also means that it is not following current standards and may display modern pages in an inconsistent manner with considerable layout anomalies. A method of designing websites that automatically adjusts width, layout, and sometimes content depending on the size aand capabilities of the device it's being viewed on. This enables a website to be viewed on a small mobile device such as a Smartphone in a way that suits that device, while appearing in a more conventional layout on a laptop or desktop, with an intermediate layout for tablet devices. A file placed on a web site which tells search engine spiders where they are allowed to retrieve data from within the site. Really Simple Syndication - A method of making news and other often-updated web site information available via an automatic feed. Standard Generalised Markup Language - the language from which HTML developed. It was created by NATO in order to have a standard method of constructing documents and specifications that could be interpreted consistently amongst the various member nations. Structured Query Language - A programming language for interacting with databases. Secure Sockets Layer - a protocol for creating a secure encrypted connection for the transmission of private data. Used most commonly for the transmission of credit card information and similar data which should not be allowed to fall into the wrong hands. Simple Mail Transfer Protocol - is a TCP/IP protocol used in sending and receiving e-mail. A mode of operation of your web browser where it conforms as closely as possible to the latest W3C standards for the interpretation of HMTL and CSS. In theory this should means that all browsers will display the page consistently, although in practice there are still variations, particularly with Internet Explorer 6. Top Level Domain - the part of a domain name that appears at the end. There are two types: generic TLDs and country code TLDs (ccTLDs). Generics are those such as .com, .net .gov, while country codes are those such as .co.uk, .de, .fr, and .it for the UK, Germany, France and Italy respectively. Operating system most commonly used in servers. Uniform Resource Locator - the technical name for a web address. The process of checking the coding of a page on a website against the standards to ensure that it is compliant. Pages that are not valid code will be difficult to render consistently across different browsers and may break completely in some of them depending on teh severity of the error. Some errors may affect the ability of search spiders to fully penetrate or understand the site. Virtual Private Network - A private data network that uses encryption techniques to make use of the public telecommunication infrastructure while remaining secure. Voice over IP - A set of facilities for managing the delivery of voice information using Internet Protocol (IP). Wide Area Network - A geographically dispersed telecommunications network. A wide area network may be privately owned or rented, but the term usually connotes the inclusion of public (shared user) networks. eXtensible Markup Language - a language which allows the creation of customised tags, enabling the definition and interpretation of data between applications and organisations. Often used to supply feeds of product data between different sites. A file compression program commonly available and used to compress files before sending them via the internet. Works very well on documents but it of less use on image files which have already been compressed.